Gov. Ron DeSantis. Photo via CBS News. Saying they failed to heed the will of voters, Gov. 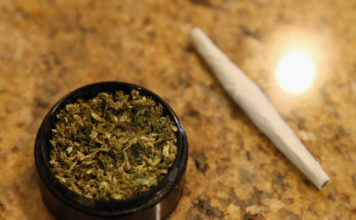 Ron DeSantis ordered Florida lawmakers Thursday to eliminate a ban on smokable medical marijuana and, if they don’t comply, threatened to drop the state’s appeal of a court ruling that found the prohibition ran afoul of a 2016 constitutional amendment. DeSantis, who had been widely expected to announce he was going to drop the appeal, instead delivered the unambiguous ultimatum, which he called the “sword of Damocles” hanging over the head of legislative leaders. The Republican governor said he also wants lawmakers to address other components of a 2017 law that was passed to carry out the constitutional amendment. DeSantis said lawmakers should revisit a cap on the number of medical-marijuana licenses and a “vertical integration” system that requires operators to grow, process and distribute cannabis products. 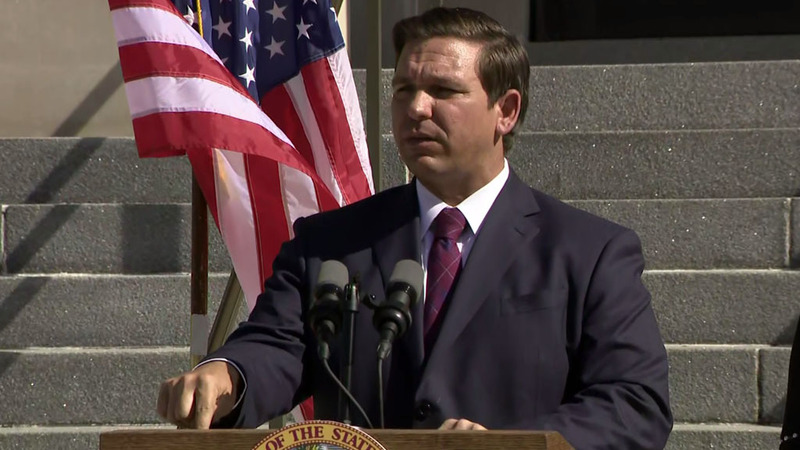 “This is all about doing the people’s will,” DeSantis told reporters at a news conference in Winter Park. DeSantis made the announcement while flanked by Congressman Matt Gaetz, a former state representative who played a key role in the Legislature on medical marijuana issues, and Orlando trial lawyer John Morgan, who largely bankrolled the constitutional amendment and who initiated the legal challenge to the smoking ban. DeSantis accused the Republican-dominated Legislature of failing to implement the amendment “in accordance with what the amendment envisioned.” The amendment, approved by more than 71 percent of voters, broadly legalized medical marijuana in the state. 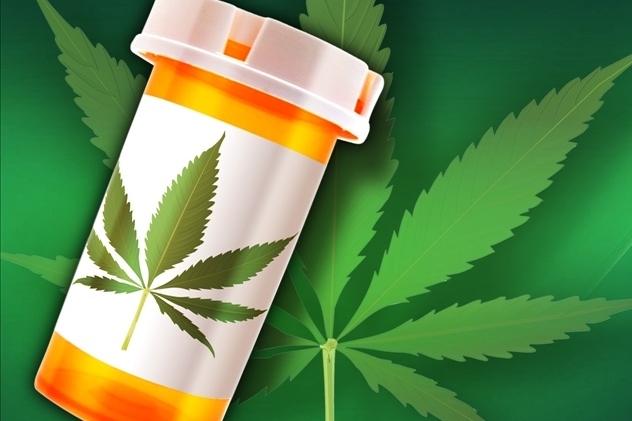 An overwhelming number of Floridians, “about as big a majority as you can get in this day and age,” wanted patients with debilitating conditions to have access to medical marijuana, under the supervision of physicians, the governor said. “Whether they have to smoke it or not, who am I to judge that? I want people to be able to have their suffering relieved. I don’t think this law is up to snuff,” he said. DeSantis, a Harvard-educated lawyer, said he would prefer to have lawmakers deal with the issue rather than leave it to the courts, noting that the state is involved in several marijuana-related legal challenges. “I want to use the fact that we are in litigation as leverage to get better laws passed,” he said. The Legislature held a special session in 2017 and passed the law that included the smoking ban and limits on licenses. Supporters said, for example, that the smoking ban was needed because of health dangers from smoking. But DeSantis on Thursday used harsh words to critique the medical-marijuana system created by the Legislature and gave lawmakers a short timeframe to address what could be a thorny issue. The governor said he would ask the courts to put the appeal in the smokable marijuana case on hold until mid-March; the 2019 legislative session begins on March 5. DeSantis also appeared to take a swipe at his predecessor, U.S. Sen. Rick Scott. “Look, we’ve got a lot of fish to fry in Florida. The last thing I want to be doing is cleaning up for something that should have happened two years ago. This thing should have been implemented. We should have moved on. I don’t want to continue fighting some of these old battles,” DeSantis said. DeSantis also used the threat of dropping appeals in other marijuana-related lawsuits to goad the Legislature into addressing issues that could include the cap on the number of medical-marijuana licenses and the “vertical integration” system. Moving away from a vertical integration system could involve opening up the system to businesses that wouldn’t be responsible for all of the aspects of growing, processing and distributing the products. “We need to have the people’s will represented in good law that is doing what they intended. I look at how some of this was created, where they (lawmakers) created a cartel, essentially,” DeSantis said. But an unrestricted medical-marijuana market could raise concerns in an industry in which licenses have sold for more than $50 million. In a lawsuit separate from the smokable marijuana case, Leon County Circuit Judge Charles Dodson found that caps on the number of licenses, limits on the number of dispensaries and the vertical integration system are unconstitutional. The state has also appealed that ruling. DeSantis instructed lawmakers to revisit vertical integration, which he said is problematic. Vertical integration “is not worthy of continued defense,” said Gaetz, a close ally of DeSantis who is playing a major role in the governor’s transition. “We wrote the legislation that way not because it was necessarily best for patients but because that’s how we had to do it to get the votes,” Gaetz, a lawyer who was elected to Congress in 2016, said. Following DeSantis’ remarks, state House Speaker Jose Oliva and Senate President Bill Galvano issued statements indicating support for a repeal of the smoking ban. “We are encouraged by the announcement the governor made today and accept the challenge he has laid before us,” said Oliva, a Miami Lakes Republican whose family fortune was made in the cigar industry. Implementation of the constitutional amendment “has been an ongoing problem mired in complex and protracted legal challenges,” Galvano, R-Bradenton, said. “A legislative solution has always been my preferred course of action, and we will certainly honor the governor’s request to bring a bill forward early in session that addresses both his concerns and those raised in litigation,” he said. Morgan — who goes by the moniker #PotDaddy on Twitter — said he was “very pleased” by DeSantis’ move, noting the expedited schedule DeSantis laid out Thursday.